Rub the marinade into the meat portion only and leave it in the fridge uncovered for at least 30 min. Remove the burnt bits using a serrated knife. Rinse pork belly and pat dry with paper towel. Rub the all over the skin with sea salt. Then, turn to the meat portion and score the inner portion of the meat. 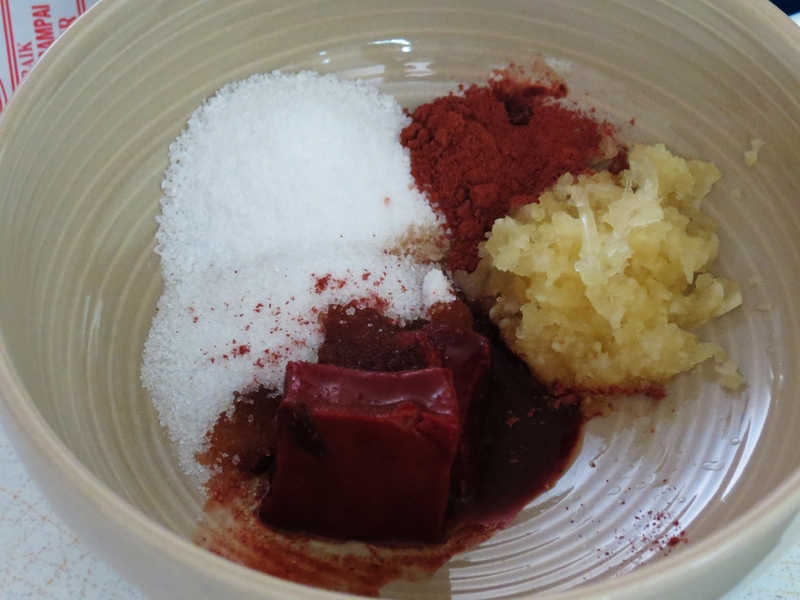 Mix the marinade ingredients in a bowl until well combined. Rub marinade mixture evenly into the meat. Marinade it for at least 30 min in the fridge uncovered in the fridge to dry out the skin. 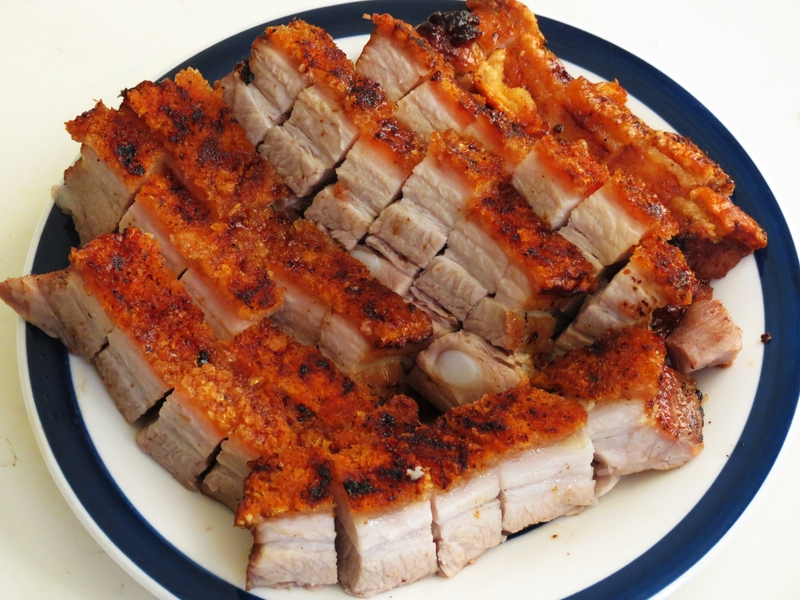 Remove the pork belly from the fridge and pat it dry to remove any remaining moisture. 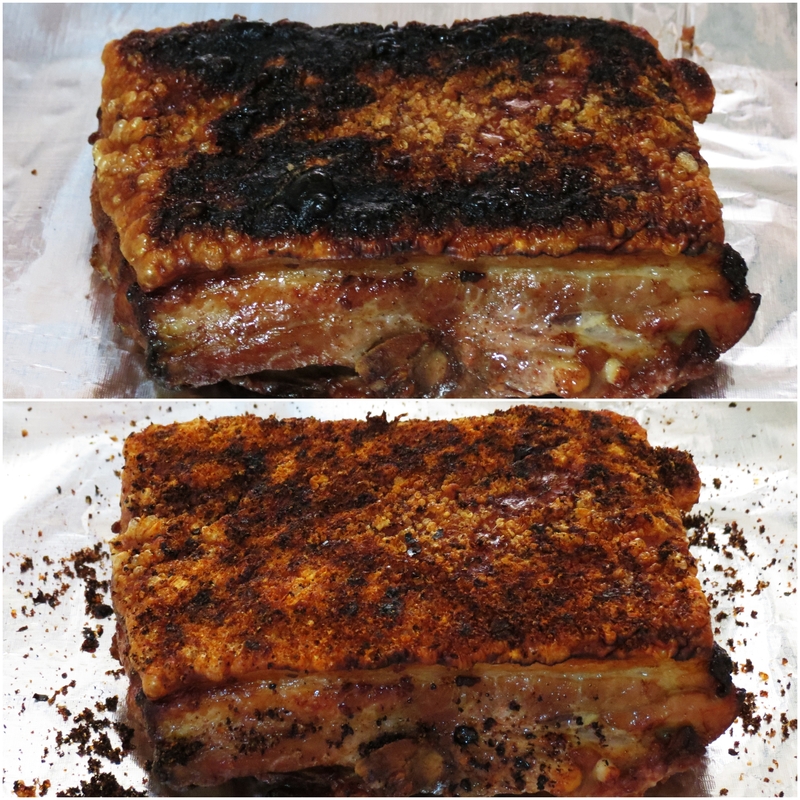 Bake the marinated pork belly skin-side up in a pre-heated oven at 220 °C for 20 min. Remove from oven. Using a bamboo skewer, prick all over the surface of the skin. 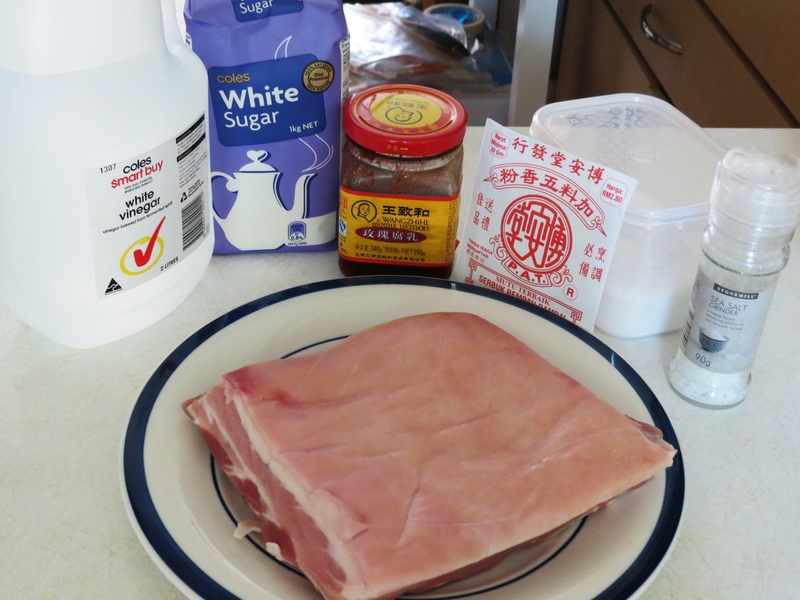 Brush the pork skin with white vinegar. Bake with skin-side up at 250 °C for further 30-40 minutes, or until pop-up bubbles have formed the surface. If the skin have not completely crackled, put it under the grill for another 8-10 min. Do not worry about the slightly burnt bits as they can be easily removed using a serrated knife. 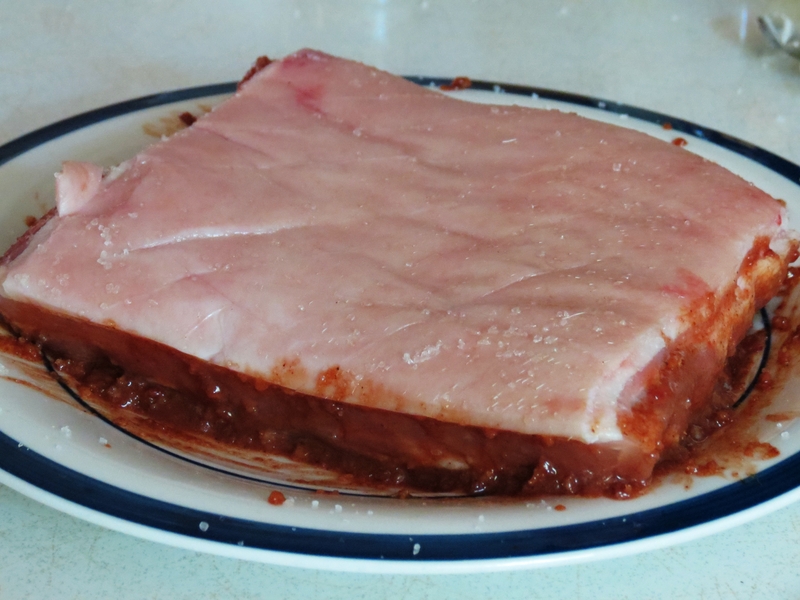 Remove the pork belly from the oven and let the meat rest for at least 15 min. Cut into pieces and serve. It roast pork looks delicious and it’s my favorite. LOL! !